Katowice in Poland is the former capital of Silesia, offering excellent opportunities for cognitive & active recreation. 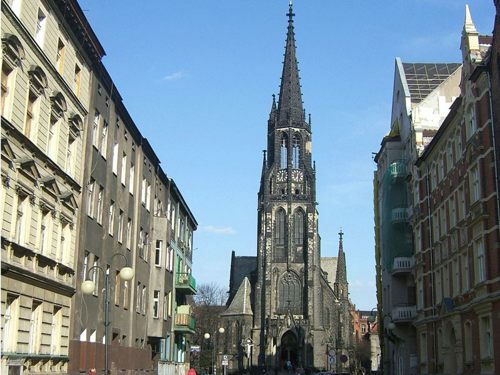 Here tourists can see historical & architectural monuments, visit the most exciting museums, & also become spectators of numerous sports events of international level, which are arranged continuously in Katowice. 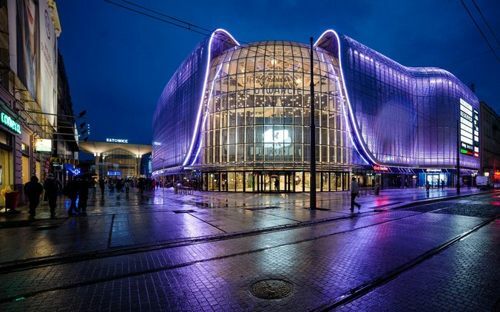 Katowice in Poland is a modern dynamic city full of rich cultural life, offering many entertainment & exciting events. In the Katowice, center is located the grandiose sports & entertainment complex "Spodek" - one of the largest indoor sports facilities in Europe. On 9 hectares territory is placed a sports center, a skating rink & an arena, which can accommodate more than 11 000 spectators. Spodek hosts major sporting events, exhibitions, theater performances & performances by world celebrities - from Boney M & Deep Purple to Elton John, Tina Turner & Sting. International music festivals Metalmania & Rava Blues are held annually here. A picturesque park named after Kosciuszko is located near the city center, which is a favorite place for walks of citizens & tourists. In the park is placed an old parachute tower - different operating tower in Poland. Those who wish can go to the infamous world-famous Auschwitz, located 30 km from Katowice. During the whole year in Katowice are held various festivals: street art & jazz, theater & film festivals, winter comedy & a holiday of sausages "Kashanka," which is arranged every year on May 28. A large chauffeured vehicle with a large number of seats is developed for long tourist’s excursions. Hire chauffeured driven coach & easily gather up to 65 passengers during planned trip or important event. Business coach hires with driver is equipped with the latest technologies that provide high-level comfort for passengers. All installed details such as kitchen, toilet, coffee machine or orthopedic seats are essential elements for a luxury ride. 8Rental’s team includes many people, so control is established under everyone. Drivers & chauffeurs are checked on driving abilities & driver license. Our company always ensured to hire drivers with many years of experience, with valid documents, clear driving records. They are all very punctual and responsible, and they also speak several international languages so that our clients will always feel at ease while using our services.